For your convenience, Ocean Eye Institute carries the latest frame designs from today's top designers in our optical dispensary, The Optical Connection. Our opticians are NJ licensed and trained in the most up-to-date lens technologies, including high definition digital lenses and the most scratch resistant anti-reflective lenses available on the market today. The opticians have the ability to work with you to customize your eyewear to meet all of your visual and cosmetic needs. 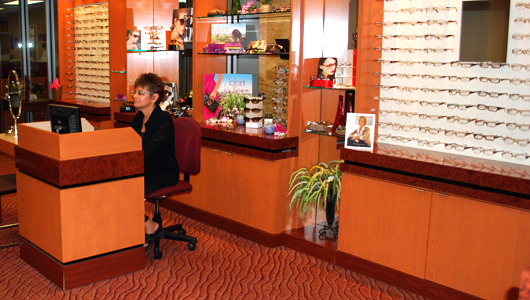 If you are on a tight budget, we have eyewear to meet those needs as well. Optical Connection is available to you five days a week and even on Saturdays in our Toms River and Forked River locations. emergencies by calling (732) 244-4400.